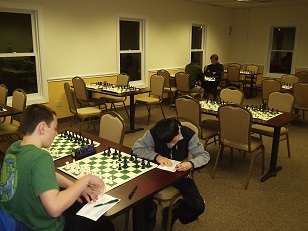 The Chess Club of Fairfield County rang in the new year with some exciting chess at this week’s Friday Night Action. 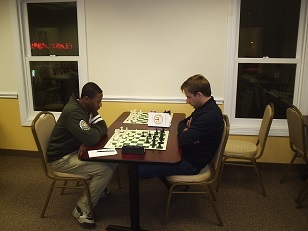 Favorite NM Alex Eydelman was upset in round two by Vladimir Kotov. Kotov went on to also beat second seeded Connor Riddell and with the section with a perfect 3/3 and pick up nearly 80 rating points in the process! Eydelman and Riddell finished tied for second with 2/3 each.